MACOMB TOWNSHIP, Mich.– After a weekend break, police on Monday resumed digging in suburban Detroit in an area that could yield the remains of up to seven missing girls. 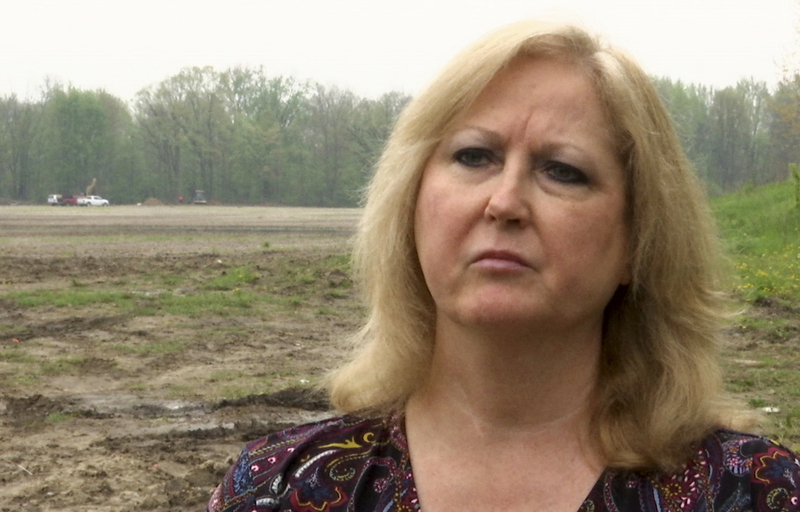 Konnie Beyma, whose sister, Kimberly King, disappeared in 1979, visited the site and said the six-day effort in Macomb County’s Macomb Township might not last much longer. The search, about 30 miles (50 kilometers) northeast of downtown Detroit, began after police interviewed a prisoner, Arthur Ream, who was locked up in 2008 for the slaying of a 13-year-old girl. Cindy Zarzycki’s remains were found a decade ago near the same woods where big machines now are clawing the soil. Ream has declined to speak to news media by phone, the Michigan Corrections Department said. Beyma’s sister disappeared at age 12. She described Kimberly as a “little bit rebellious, a lot of a tomboy” who loved sports. Beyma believes police will continue to work near 23 Mile Road and North Avenue until Tuesday. Bill Dwyer, police commissioner in Warren, Michigan, who is leading the investigation, said officers will also look at other areas, although he didn’t disclose them. Beyma said she her sister’s remains would be buried in Kentucky next to a grandmother. “I know that’s what our family wants to do,” she said.